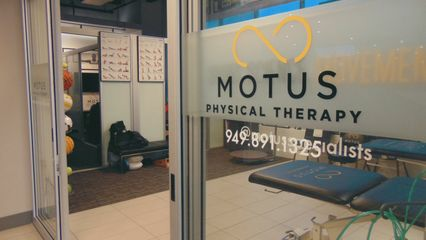 Drew Morcos is the President and CEO of MOTUS Specialists Physical Therapy, Inc. in Orange County, CA for amateur/professional and active clients. He has experience working with top athletes in professional sports including Russell Wilson and Antonio Brown (NFL), Carmelo Anthony (NBA) and Steve Johnson (ATP), to name a few. Prior to opening his own clinic, he was the Director of Rehabilitation at the University of Southern California-Athletic Medicine Department. He continues to serve as an Adjunct Instructor of Clinical Physical Therapy for the Division of Biokinesiology and Physical Therapy at the Herman Ostrow School of Dentistry at USC. He earned a B.S. in Kinesiology with an emphasis in Athletic Training from the University of Nevada, Las Vegas. He received his Doctor of Physical Therapy degree from USC in 2007 followed by completion of a residency in Orthopaedics and a fellowship in Sports Physical Therapy through Kaiser Permanente, Los Angeles.